If you are looking for more Diwali Recipes then do check Microwave Besan Laddu, Khoya Gulab Jamuns, Kesar Peda, Gur Pare, Baked Namakpara, Namakpare, Aloo Bhujia, Maida Chegodilu, Chekkalu and Doda Burfi. 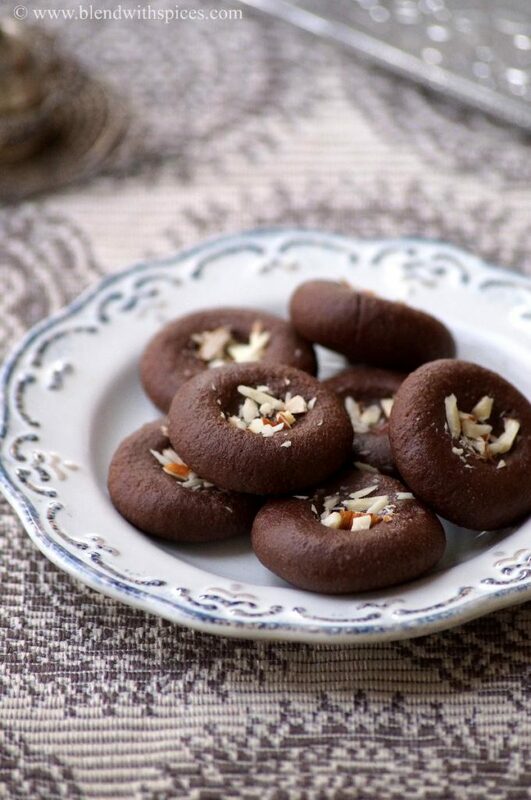 Here is a complete list of Diwali Recipes. Take the crumbled khoya in a pan and heat for a minute. Add milk and sugar and mix well. Let the sugar dissolves completely. Keep stirring over a medium – low flame until the mixture thickens and leaves the sides of the pan. When the mixture warm enough to handle, knead it into a smooth dough. Grease your hand with little ghee if needed. Shape them into flat discs and press lightly chopped almonds in the center. 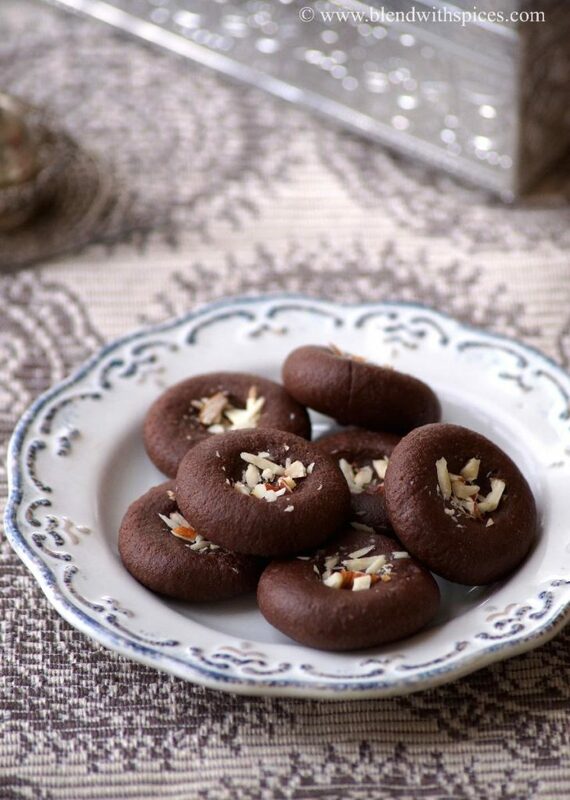 Has chocolate, my daughter would love this, perfectly made pedas.. Superb and easy too. Happy deepavali Chandana. These pedas cane out super moist and delicious. My daughter LOVES these and she typically doesn’t like sweets. Thank you!! !